We’re super-excited to be launching the Eat Drink Live Well 14 day Detox programme! A safe, guided, step-by-step protocol tailored to support your body’s natural ability to detoxify, so you can look and feel great, lose extra weight, feel clear and focused and regain energy and vitality. It’s a chance to press the reset button and kickstart some healthy eating and lifestyle changes for the new year. Our programme isn’t a juice fast or raw food diet, it isn’t a meal replacement programme and it isn’t a deprivation regime that you need to endure as penance for a few weeks of less than optimal dietary or lifestyle choices. We’re proud that our Detox is effective, yet centres on eating delicious, nourishing food, with realistic and achievable meal suggestions plus some enticing lifestyle recommendations. It’s a chance to take some time out to look after and nurture yourself. We know you’re busy, which is why we’ve designed the programme to be simple to implement whilst also getting you results. 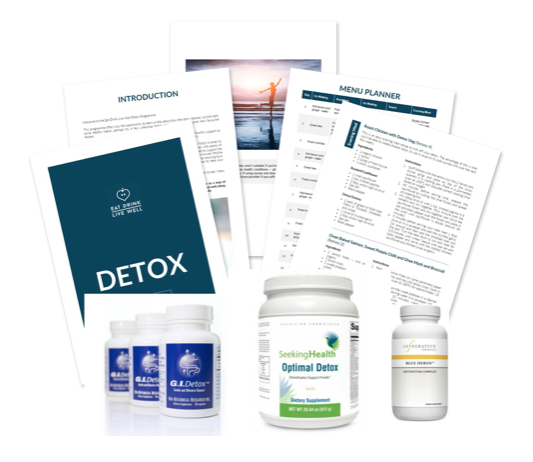 You’ll receive ample guidance and supportive materials to make sure your detox is as easy and as effective as possible. It’s a hot topic. Your liver is responsible for removing toxins and hormones from the body but can get sluggish if it is lacking the nutrients to do it’s job, overrun with toxins, over burdened by a compromised digestive tract or after a period of over-indulgence. People often think of detoxing as torturous starvation, involving fasts, juices and raw foods in order to purge the body. The Eat Drink Live Well Detox Programme instead nourishes the body with plenty of tasty foods and drinks, focusing on a digestive-friendly diet that is specifically designed to support the liver and other organs of detoxification – helping you to look and feel great. 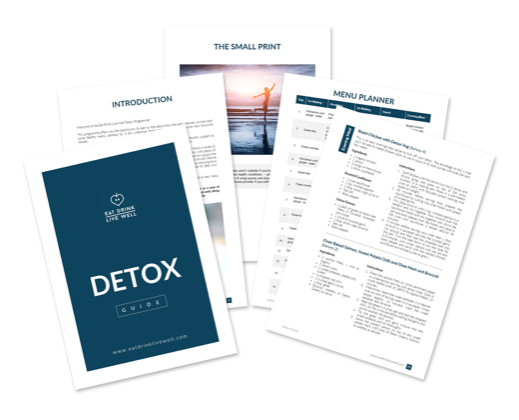 We also include lifestyle suggestions that support detoxification, an important but often an overlooked factor, as well as a guide to reducing toxic exposure – and we include an optional supplement programme for you to purchase to take your programme to a higher, more targeted level. You can begin the detox at any time, although research shows that participants in a programme gain more, and achieve better results from a programme by going through the experience as a group; our next group programme start date is January 8th 2018. Supplements are not required to participate in the programme but we do offer an optional supplement package (worth over £130) for those who want to supercharge their detox experience. We’ve carefully selected high quality supplements that are designed to enhance liver function and help eliminate toxins. Many participants opt to take the supplements in addition to making the recommended dietary and lifestyle changes in order to benefit from a more therapeutic, targeted detox. Although the programme is 14 days, to get the most out of the Detox we recommend 21 days with the first week being a preparation week. This week is a gentle transition into the detox and encourages a gradual reduction of toxins and potential gut irritating foods over the course of the week. We encourage you to plan your meals during this week, book some massages and plan detox treats for the coming 14 days and to hit the shops to stock up on detox friendly foods with your shopping list. You’ll also complete your starting Symptoms Questionnaire – which you’ll repeat again at the end of the detox to evaluate your progress. The Prep week is all about putting structures in place to set the intention for success, and to enable you to get the most out of your Detox. 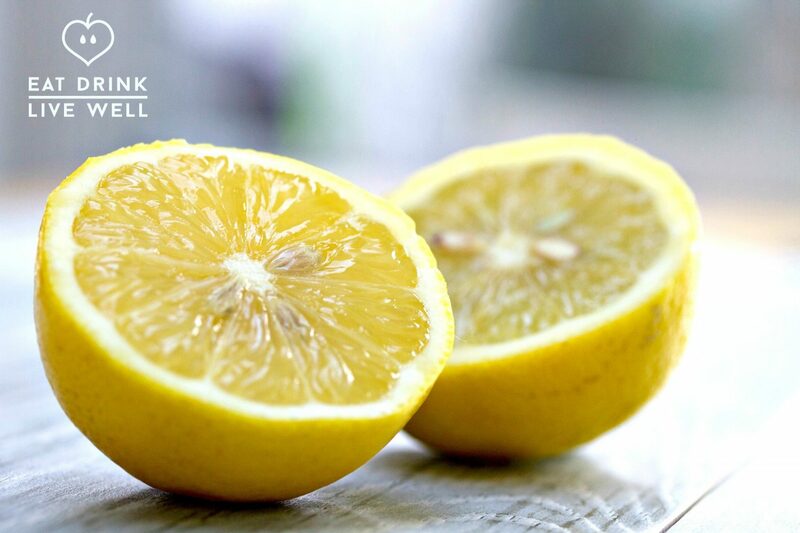 During the detox you will be guided on the best foods, mind-body practices and daily rituals to support your entire body in a detox. This approach not only helps you eliminate unwanted and harmful toxins from your body – it will also show you how to reduce excess toxins in your home and environment. We’ll also focus on some very practical areas – what foods you’re going to be eating, our favourite detox recipe staples and essentially taking you right through the Detox Guide so that you can engage fully in the detox. You’ll also have plenty of opportunity to ask us questions via the facebook group or live webinar. We’ll guide you how best to transition out of the detox and what other options are available if you want to fast-track your health further. I was slightly worried when the detox was recommended to me, picturing weeks of starvation and misery and was so pleasantly surprised by the delicious recipes and guidance on how to eat well throughout the programme. I never felt that I was depriving myself and yet felt so alive and well afterwards, with so much more energy. Plus I lost the extra weight I was carrying which has given me so much more confidence. I will definitely be doing it again. Emma and Caroline guided me through the detox, it was so easy to follow and it introduced me to some delicious new recipes that are firm family favourites in my household now. I use the guide as a healthy recipe book! Within a few days I could feel the difference within me, I had more energy, clearer skin and my mood had really improved.